I am 100 percent satisfied with the outcome of my case and would definitely recommend this firm to others. I got hurt in a car accident in Newport News. The insurance company was not offering me a fair settlement so I decided to hire a Newport News personal injury lawyer. Kevin Duffan was my attorney and he did a great job. His legal assistant, Tara, did everything she said she was going to do and it was so easy to talk to both Tara and Kevin. I am 100 percent satisfied with the outcome of my case and would definitely recommend this firm to others. I got hurt in a bad car accident. My medical costs were staggering and I did not know if the auto insurance company was going to cover all my bills. I decided to hire a personal injury lawyer and found Rick Shapiro. I am so glad I hired Mr. Shapiro. He worked hard on my case and I was very satisfied with the settlement that I received. Rick also helped me with my Medicare bills and I was relieved to find out that Medicare only required me to payback a small percentage of the amount spent on medical costs for my therapy and recovery. Thank you for your negotiation with the parties in my case. I am extremely satisfied with the outcome of my case and would definitely recommend Kevin and his firm. I was seriously hurt in an accident in Chesapeake, Virginia and did not know where to turn for help. I spoke to a friend who referred me to Chesapeake personal injury lawyer Kevin Duffan. Kevin and his legal assistant were so helpful. They explained the process clearly and answered all of my questions. I am extremely satisfied with the outcome of my case and would definitely recommend Kevin and his firm. I was hurt in an accident in Virginia Beach, Virginia. I needed a lawyer and asked a friend if they could recommend someone. He pointed me in the direction of Shapiro & Appleton& Duffan. I met with Kevin Duffan and he handled my case. Kevin was great at communicating key points and explaining what needed to be done to get me the outcome I was looking for. I am extremely happy with the result and highly recommend Kevin to anyone in need of a personal injury attorney. Kevin was professional and incredibly responsive. I was hurt in an accident in Virginia Beach, Virginia. reached out to a friend regarding legal counsel. They recommended I contact Kevin Duffan, a partner at Shapiro & Appleton& Duffan. I am so happy I took my friend's advice. Kevin was professional and incredibly responsive. I am extremely happy with the outcome of my case and would definitely recommend Kevin and his firm to friends and family. Kevin's professionalism and experience as a personal injury attorney gave me the piece of mind that each decision I made was an informed one and that my best interests were his main priority. After a traumatic injury, I didn't know what options were available to me. I did, however, believe that there was a lack of accountability and I at least wanted to speak with an attorney to know what options I had. Fortunately, Kevin Duffan was referred to me and I will say that he lived up to all the feedback I received. From the beginning, Kevin was extremely thorough in gathering all the facts while also communicating what legal precedent applied to my case specifically. Kevin's professionalism and experience as a personal injury attorney gave me the piece of mind that each decision I made was an informed one and that my best interests were his main priority. 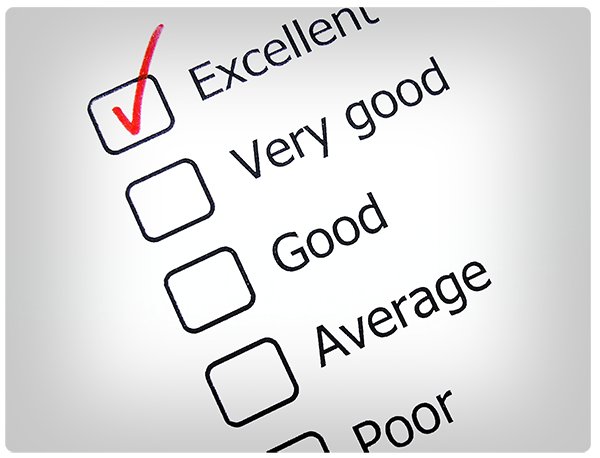 During the negotiations with the insurance adjuster, Kevin provided his input and recommendations which he felt would yield a positive outcome with minimal action on my part, which was my preference. Although the whole ordeal from injury to settlement lasted over a year, I am very happy that I had an attorney like Kevin who took into account my reluctance to go into litigation but negotiated a favorable settlement which has brought closure to my case. I would highly recommend Kevin Duffan to anyone looking to for a high-quality personal injury attorney. [Editors note: A Baltimore City Circuit Court jury returned a unanimous verdict for our client in February 2016 for the exact sum we requested during her 5-day trial.] It has been one week since the jury verdict supported our claim against the doctor who was found guilty of medical malpractice and a medical standard of care violation. As I move forward in bringing closure to such a traumatic ordeal, I feel it necessary to acknowledge and thank the law firm of Shapiro & Appleton for their exceptional legal representation in my case. Five years ago, I underwent a laparoscopic hysterectomy that resulted in a life threatening situation. A surgery that should have been an overnight stay in the hospital and a few weeks of recuperation, resulted in a perforated (cut) colon, numerous surgeries, weeks of hospitalization and the wearing of a colostomy bag. This horrific, unexplainable outcome impacted my family, employment and physical and emotional well being. My family and I endured daily life changing routines to aid in my rehabilitation and medical care. After months of healing and questioning this ordeal, I decided to seek legal counsel. Unfortunately, various law firms didn't find my case strong and chose not to represent me. Still being determined to find counsel, I was fortunate to discover, online, the law firm of Shapiro & Appleton& Duffan, a firm specializing in personal injury and medical malpractice law. Their website gave me hope. There was a video presentation with two of their attorneys discussing surgical errors that occur during a surgery such as mine. I immediately contacted their office and consulted with Rick Shapiro. Mr. Shapiro believed I had a case so I retained him as my attorney. Once he reviewed my medical records from 2010 to present, he was with us every step of the way. He was diligent throughout the entire process. He assured us that all necessary paperwork would be filed and issued on time. He actually flew from one state to another to have meetings with me. I found Mr. Shapiro to be an attorney of integrity, exceptional expertise and professionalism. He scheduled weekly phone and video conferences to keep me informed. He consulted and retained medical experts that supported what he believed was a medical error. Mr. Shapiro and his co-counsel continued to discover strong evidence to argue and support my case. Overall, Mr Shapiro's warmth and kindness consistently put my worries and mind at ease. I acquired a level of trust for him that every client should have with their lawyer. Initially, he strongly believed that the standard of care had been violated. Mr. Shapiro fought hard to prove just that. He asked the jury for a favorable verdict and settlement in our case. We won! I have no doubt that his focus, skillfulness , limitless knowledge and boundless energy contributed to our winning verdict and award. I am so happy about the results. I will always be so appreciative for this legal team's hard work and dedication while representing me. I highly recommend the law firm of Shapiro & Appleton to you or a loved one who has been seriously injured. Please don't hesitate to call for legal consultation. They are the best. Good lawyers care about their clients, but great lawyers are loyal to them! To learn more about this cut/perforated colon medical malpractice case, check out this case overview page.